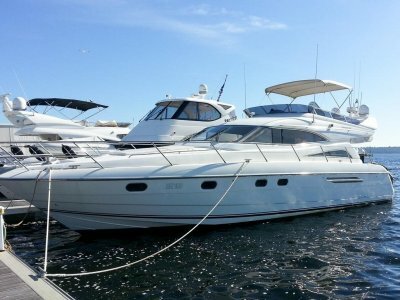 This 56 Princess Flybridge is a must to inspect. 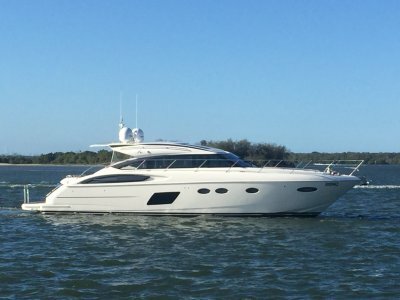 The P56 is one of the most popular Princess models as she just ticks every box for boat buyers seeking the highest standard in luxury boating, from her 715Hp Cat performance to her enormous internal volume with a very user friendly 3 cabin 2 bathroom galley up mid ship layout, plus a spacious flybridge equipped with 2nd driving station, she is just an incredible vessel. 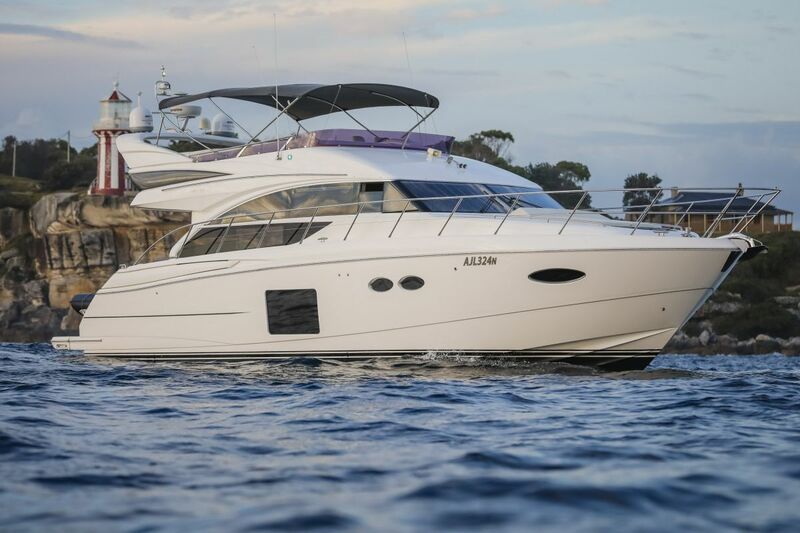 Fitted with various factory fitted options including, Hydraulic up/down bathing platform, a good size Bimini for sun protection, variable bow and stern thrusters for easy docking, Bose surround sound to enjoy cinema sound throughout and many additional options not listed. This 56 will also include a Williams 325 Jet boat as a tender. 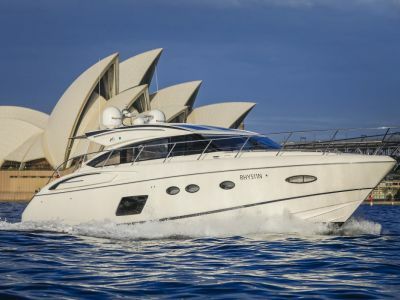 Located at our Rose Bay marina for scheduled inspections as of today. 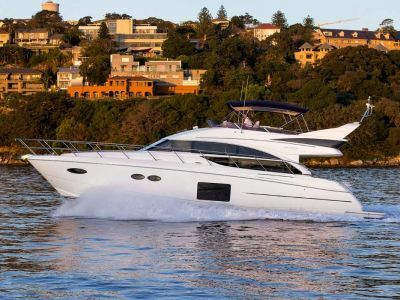 Accessories: Foxtel, underwater lights, enclosed radar, washer dryer, bimini, | Remarks: Please call or walk into our Rose Bay office to arrange your exclusive inspection today of this incredible Princess.